When LRS made the leap to provide maintenance services we quickly recognized the need for a business development team to analyze the maintenance history. The business development team gave LRS the means to help maintenance clients make informed lighting decisions and plan for future lighting projects. Today the business development team helps these clients with all their lighting needs from CAD and photometric design to construction build to ongoing maintenance programs. Our turnkey lighting services integrate the site specific parameters, along with objectives of our customers, to develop a custom lighting upgrade specific to their needs. 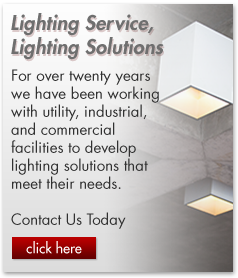 When it comes time to install your new lighting design, our self-performing installation services department takes over to provide the project management and lighting installation expertise every customer deserves. The end result is a new lighting layout that is installed on time and on budget.